Reporte elaborado por Oswaldo Ruiz-Chiriboga. 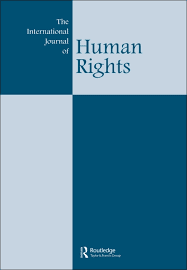 “This article discusses the constitutional turn in the Inter-American Court of Human Rights’ recent jurisprudence, exemplified in the adoption of the conventionality control doctrine. Building on previous work and inquiring for the first time into the legal theory of Judge Sergio García Ramírez, who created the doctrine, I show that conventionality control lacks solid legal footing and reveals a problematic understanding of the Inter-American Court as a regional constitutional tribunal. I propose, therefore, an alternative account of the doctrine that rests more on state practice. Reviewing how two states, Peru and Argentina, have internalised the Inter-American Court’s case law on amnesty laws – a prominent feature of the court’s jurisprudence – I argue that the court should embrace such domestic developments to, first, provide a robust justification for its assertion of international authority; and second, to strengthen the court in the face of increasing challenges and criticisms raised by states and other actors”. "How Human Rights Bodies Trigger the Application of Criminal Law"